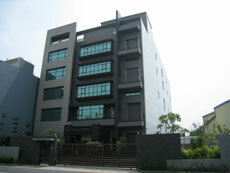 Taiwanese-近代塑膠工業股份有限公司-Commerce Manufacturer Machinery Taipei China Asian Pacific R.O.C. 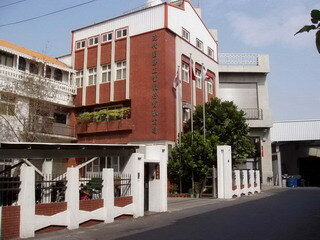 Chin-Tai Plastic Ind Co., Ltd. was established in 1975 and had operated to date. Our company is specialized in "The containers and packing of medical drug category and biotech category." Besides production and manufacture, we have the abilities of development and 3Ddesign. We are obliged to Science and Technology Research Institute, MOEA and the foresighted guidance, assistance, and planning of other pharmaceutical factories. We adhere to the principles of being stable and reliable, and legitimate operation. Presently, we have become the plastic container and packing manufacturer for medical drugs and biotechnology that the development is the rapidest, that is the most potential, and has the greatest scale in Taiwan. Safety has always been our highest conviction. Without a safe work environment and training, we can not execute the quality demand further. The electricity of all of the machines and equipment in the factory have been integrated, controlled, and managed systematically for monitoring and emergency handling. All of the pre-work is to get an effective product. Besides establishing the interior quality control system, we cooperate with the units of academic circles to make the deep research aiming at the nature and feature of each product. The omnibearing quality should include product quality, environment and equipment quality, and service quality. This is our goal of constant effort. In order to lower the cost, increasing the productivity and simplifying the flow path are the necessary process. From the continuous update of machine equipment, planning and integration of the factory building environment, storehouse management, to the computerization of the office, design and development, and the purchase of software and hardware, and so on, they all show our ambition for newness and progress.